When will be Beer Geeks next episode air date? Is Beer Geeks renewed or cancelled? Where to countdown Beer Geeks air dates? Is Beer Geeks worth watching? 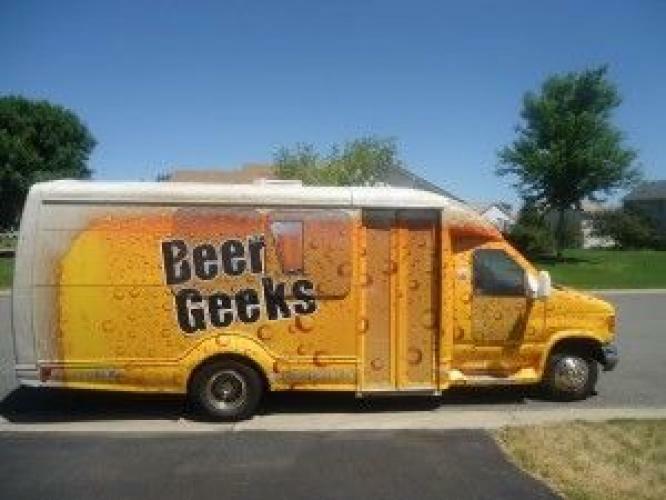 Beer Geeks is the show that is all about the world's greatest beverage: beer! This original show will travel around the country, exploring craft beer from every angle. We will visit famous breweries and meet some of the zany personalities in the craft beer world. BeerGeeks will show the passion of the Craft Beer movement and explore this amazing culture. Join veteran brewmaster Michael Ferguson as he samples the best beer in the country. We hope you're thirsty! Beer Geeks next episode air date provides TVMaze for you. EpisoDate.com is your TV show guide to Countdown Beer Geeks Episode Air Dates and to stay in touch with Beer Geeks next episode Air Date and your others favorite TV Shows. Add the shows you like to a "Watchlist" and let the site take it from there.